Singapore is a rather small country but is highly-developed and ranked among the world’s most competitive economies. The country has been in need of more land to fuel its economic growth and to accommodate its rapidly growing population. According to the Land Use Plan of the Ministry of National Development (2013), Singapore would need an increase of 5,600ha of land from the current supply of 71,000ha by 2030, in order to provide housing, utility services, facilities and amenities for the projected population. Traditionally Singapore resorted to land reclamation at sea to create more space. However, more recently this type of development has become increasingly challenging and controversial due to its high costs and adverse effects on ecology. An alternative solution has come under the spotlight. That being, floating development, or building on water. 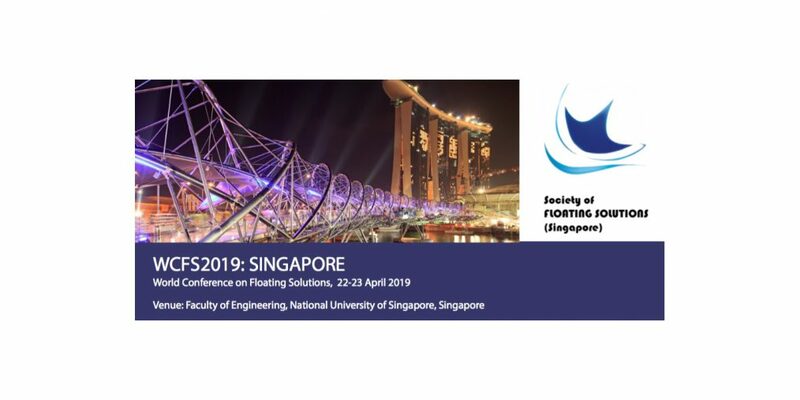 The Society of Floating Solutions (Singapore) organized WCFS, a two-day conference starting on April 22nd. This conference gathers a group of multi-disciplinary professionals from both academia and industry who share the vision of creating space at sea. The conference aims to raise international awareness of different types of applications for floating development and to discuss the future direction of research and development in floating solutions. Honored to be invited as a guest speaker, Blue21 co-founder, Karina, will give a presentation in Session 8 Sustainable City II at 17:30 hrs on April 23rd. She will share how to identify the potential of floating development as urban expansion for coastal cities from the living perspective, and the mission and vision of Blue21 to solve 21st century urban challenges via floating development.